As you'll see instantly in the video above, Dexmo is a beast. 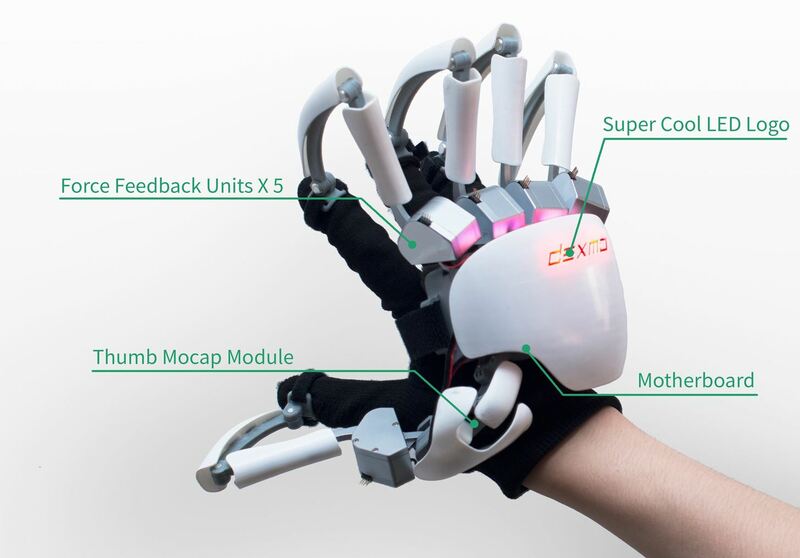 It not only fits over your hand like a glove, but has an "exoskeleton" that simulates touch when you use it with supported VR and MR experiences. It physically pulls your fingers back and provides other touch sensations so the digital object feels like a real one. 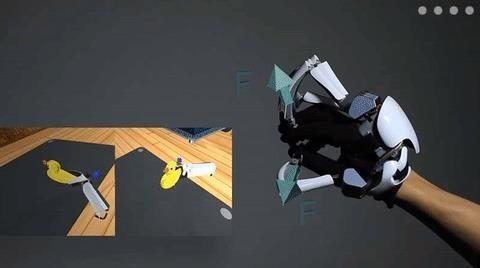 Dexmo captures your hand motion and sends the data to the avatar in the VR world. When your avatar's hand touches a virtual object, our grasping-handling software springs into action. It computes the direction and amplitude of the force applied to the five fingertips in each hand. Dexmo provides variable force feedback, allowing you to experience the object in real time. Grasp a virtual stone. Squeeze a virtual rubber duck. Turn a virtual knob. You're in a virtual environment that feels like reality. In the realm of gaming, you could feel like you're actually holding a weapon in your hand, and actually squeezing the trigger. Medical students could get hands-on practice for complicated procedures without resorting to cadavers. And job training in general could benefit from this technology where most people prefer hands-on training over visuals. Dexmo believes this is a game-changing device that you have to experience to truly feel its potential impact. Anyone who has spent time with a robust VR or MR headset knows that feeling. This technology is exciting in general, but it won't blow your mind until you're inside of it. Unfortunately, you don't just plug in Dexmo and get to experience digital touch in any app. Developers need to build out support for it. Furthermore, Dexmo should have a little bit of an uphill battle getting people to use the device. It's not exactly friendly-looking and will likely carry a higher cost than your average peripheral in the controller category. 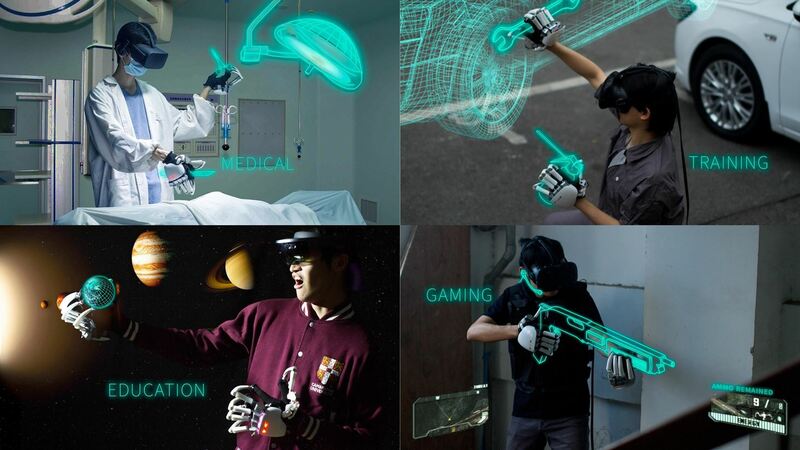 But if it's as convincing as they claim, it could take the immersiveness of these technologies to the next level.